This Fudge is the easiest recipe for homemade Chocolate Fudge, and it’s made with just 3 ingredients. This recipe requires just melting Chocolate; no cooking needed. I have added Hazelnuts, but you can add any dry fruit of your choice. Take a baking tin and line butter paper inside to cover all the sides. Heat water in a pan till it becomes hot. Lower the flame and place another bowl on the pan. Add dark chocolate and condensed milk. Stir continuously and allow the chocolate to melt. Once the chocolate is completely melted, switch off the Gas. Quickly add Hazelnut or any other Dry Fruit of your choice. Pour the fudge mixture into the baking tin. Refrigerate for 2 – 3 hours till it sets completely. 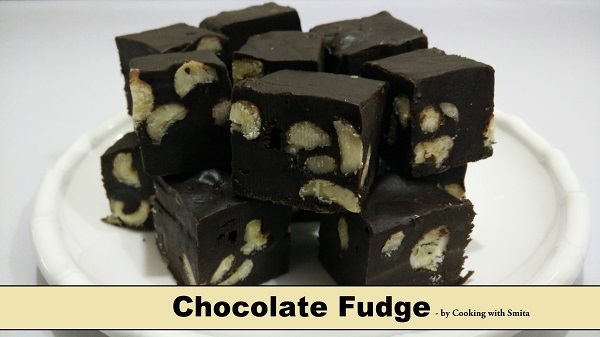 Remove the fudge from baking tin and place it on a chopping board. 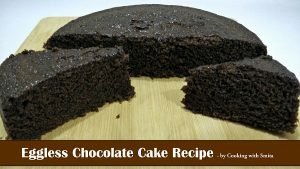 Slice into square pieces and enjoy Chocolate Fudge.